As you can see, I had enough time yesterday and this morning to pick twice the usual number of selections for this Sunday’s column. Maybe this will make up for the likelihood that there will be no S.O.B. column next week because this SOB will be going on a short vacation next weekend with Ms. Islander and some friends. Although I had time to assemble a two-part collection this week, that only somewhat eased the agony of picking from among such a massive number of deserving advance tracks and new releases. I wish I could have done more. I christened May 2012 “Iceland Metal Month“, calling attention to a series of posts I wrote which exclusively focused on metal bands from Iceland, a country that I wrote was “starting to seem close to Finland in the ratio of killer metal bands per capita of population”. Now, almost five and a half years later, it no longer seems like a close call, particularly in the genre of black metal. One of the bands I discovered in the course of writing those posts was Carpe Noctem. At that time, their discography consisted of a 2008 demo and a self-titled 2009 EP. A debut album (In Terra Profugus) arrived the year after I first wrote about them, and now, a long five years later, they’ve produced a second one. Like virtually every Icelandic metal band, the members of this one play roles in multiple groups. Carpe Noctem‘s bandmates are also involved in Misþyrming, Naðra, and Árstíðir lífsins. 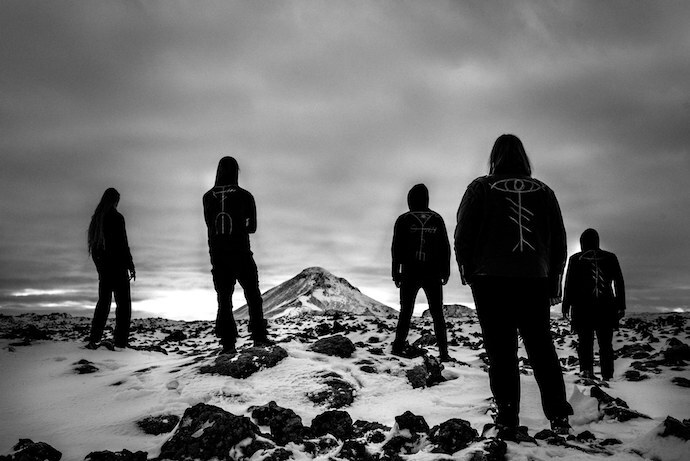 Given the current notoriety of Icelandic black metal, it’s a good time for Carpe Noctem‘s return, and a triumphant return it is. There is a hidden key at the heart of every nightmare. Vitrun – a revelation, a vision. Vitrun explores the liminal space of the surreal and mundane. Everything is taken and nothing is freely given in return. A memory in the form of a bird, hiding a message in its entrails. A city that is a tower that is a mountain. The song that echoes between the stars. An angel spinning new wings from delirium. A moss-grown stone with a familiar face, speaking in the wasteland. The temple wreathed in smoke, found beyond the edge of the sky. Till the fields of your soul and plant the burning seed from the depths of the city. Drown out the beating of your own heart with the cacophony of the firmament. Sing praises to the pain and the suffering. “Hér hvílir bölvun” means “Here lies a curse”, if Google Translate is correct. And if the band’s descriptions follow the sequence of the songs, it evokes an angel spinning new wings from delirium. That is certainly one vision the sounds might inspire, sounds that evolve from the dreamlike ambience of glimmering, astral guitar reverberations into the building tension of some new manifestation about to be revealed, and from there into a hammering rhythm coupled with slashing chords and eerie, spiraling notes. The mounting intensity of the song continues, the drums blasting, the riffing becoming a whirling, chaotic torrent, the vocalist’s livid roars growing more unhinged. 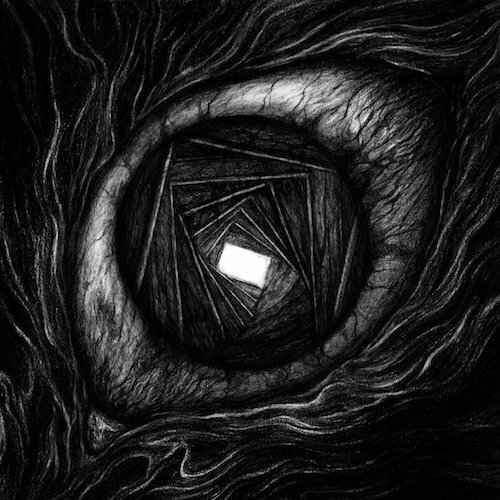 A kind of terrible, apocalyptic majesty rises up through the music, with a sweeping but agonized melody cascading across the tumult. The music engulfs the senses, and at the end you feel the opening of a vast void. Stephen Wilson created the wonderful cover art for Vitrun, It will be released on October 5th. The song below is “Sightless Remnants“, an incredibly dramatic and immersive piece. Like the preceding song in this collection, there’s a mystical quality to the opening moments, but it doesn’t take long for a searing energy to flood the senses. Head-hammering riffs and head-hammering drums surge in electrifying fashion; the vocalist’s reverberating shrieks are shattering in their skin-splitting intensity; the melody rings out in alien tonalities. When the maniacal charge subsides in the middle, gigantic detonations of sound lead into a passage of deep gloom and unleavened desolation before the pain in the music can no longer be contained and burns again, until it burns out, and a mood of crushing doom returns. Of Void & Solitude was recorded and mixed by Misha Hering at Holy Mountain Studios and was mastered at Audiosiege by Brad Boatright. It will be released on October 19th by Apocalyptic Witchcraft Recordings; a cassette tape edition will also be released in the U.S. by Red River Family Records on the same date. I turn next to another band I’ve featured twice before in this column. For those new to this project, Akvan describes the music as “black metal influenced by the art, literature, history, mythology, and music of Iran”, and it often includes the use of distorted microtonal Iranian scales as well as traditional Iranian instruments, such as the tar (which is a fascinating stringed instrument that resembles a guitar [more info about it here]). The lone man behind the band Akvan calls himself Vizaresa, named for a Zoroastrian demon. Born in the US to immigrants from Iran, he has since spent time in Iran and recorded his new EP there. Its title is اسفندیار (Esfandiyar) and it was released on September 13th. 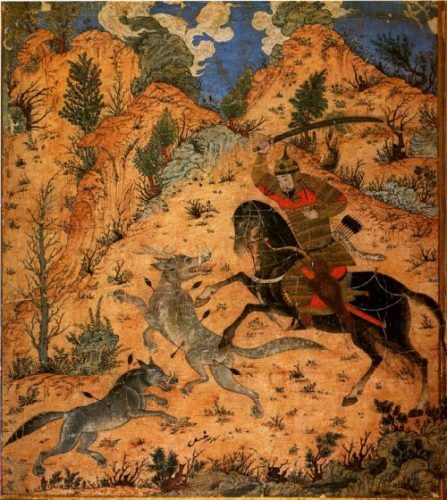 The Font of All Human Knowledge explains that Esfandiyar was a legendary Persian hero, a crown prince and a divine warrior (shown in the EP’s cover art fighting with wolves), whose tragic tale was a highlight of Ferdowsi’s massive epic poem, Shahnameh (Epic of Kings). The new EP consists of the title track and شکوه بربد (Barbad’s Glory). A bit of research reveals that Barbad was a famous Persian musician of the Sassanid era, who lived during the rule of Khosrau II (590 to 628), and the developer of a modal musical system that has had an enduring legacy. The exotic, rippling tones of the tar (laid over a wall of grim, heavy, harsh riffing) immediately seizes attention as the title track takes off. As the pace slows, the music casts a depressive pall, and there’s a sense of grief in the rippling, lilting tones of that exotic instrument, and unmistakable passion in Vizaresa‘s cauterizing shrieks. The entire experience becomes mesmerizing, no matter how forlorn the mood. The second track is an instrumental piece, performed entirely with what I assume is the same instrument that’s the centerpiece of the title track. It’s entrancing. So far, every band featured in this post has appeared in our pages before, and Pure Wrath is yet another one. Pure Wrath began in middle of 2014 as the solo project of Januaryo Hardy, who is from West Java, Indonesia. 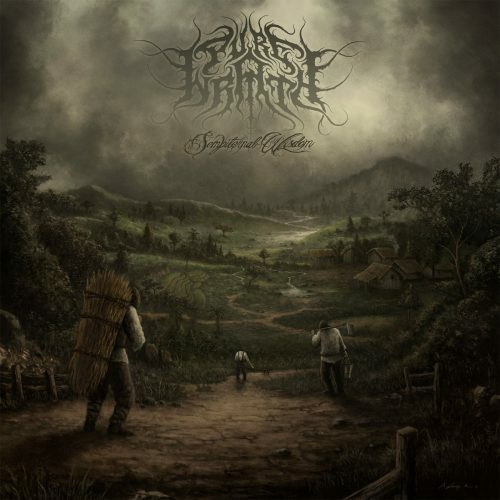 Pure Wrath‘s new album, Sempiternal Wisdom, is “dedicated to Indonesian forefathers who worked, fought, and died for the sake of homeland”, and “Homeland” is the name of the track released for listening a couple days ago. The multi-textured song is in line with what we’ve come to expect from Pure Wrath, a mix of wintry, epic atmosphere; soulful, sorrowing melody that seeps deep under the skin; and impassioned, hard-charging savagery. The track has the air of a saga, with a mood of reverence and remembrance, as the music’s inspirations would lead one to expect. It’s beautiful and inspiring, and it will get your head moving, too. Sempiternal Wisdom‘s cover artwork was created by Aghy R Purakusuma and it will be released before the end of this year by Pest Productions, followed by an Indonesian release through Hitam Kelam Records. Finally, we come to a band whose name hasn’t previously appeared at NCS. 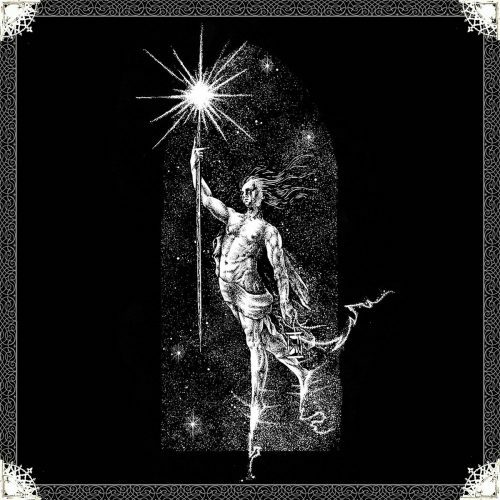 Noctem Aeternus is a one-man black metal band from Argentina. 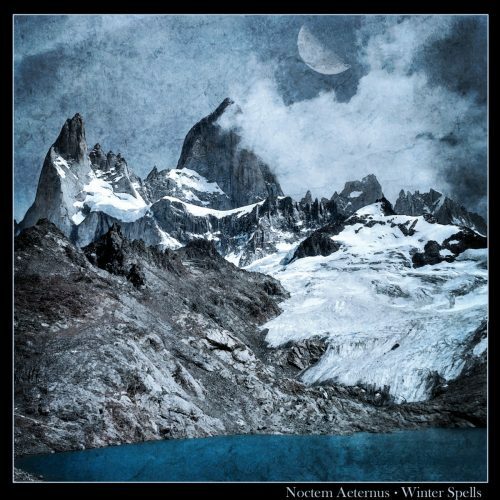 The project’s debut album, Winter Spells, appears to have been self-released in December 2017, but was picked up by Naturmacht Productions and released both digitally and on CD on September 15th. In the label’s words: “The album will take you too snowy mountains, endless fields covered with frost under a blueish moon. A cold and grim trip through dying lands.” And that’s a good description as far as it goes. The music does indeed have the atmosphere of a nocturnal journey through frozen yet mystical landscapes. Haunting moods of isolation and abandonment surface in the music, but they are mixed with sensations of wrenching heartache, and of awe. Gleaming, ephemeral keyboard melodies and gliding synths are mixed with immensely heavy bass rhythms, fiery and forlorn riffs, and paint-pealing vocal intensity. The music is well-calculated to present an immersive experience, one that you can sink into up to your eyebrows and let it carry you away, eyes closed, head moving, lost in the cold depths of misery and caught in the riptides of affliction. Alabaster beauty gleams from these sounds; they haunt the mind and harrow the soul; and they shake the spine. “Bleeding Night” is well-chosen as the first track set to stream in the Bandcamp player, and if you dig that one, you’re going to like everything that comes before and after it, too. Carpe Noctum is hitting the spot. ‘A kind of terrible, apocalyptic majesty rises up through the music, with a sweeping but agonized melody cascading across the tumult.’ Indeed. If it wasn’t 07:30 am, my neighbors would be enjoying it too. Thanks for the tip. Carpe ferias. Enjoy the vacation. I wonder where the dicidedly Icelandic slant is, with this song (band, even?). Perhaps the ‘Icelandic sound’ has oversaturated the market by now, but I dont get the same feeling as I do with, say, Misþyrming…I thought the Carpe Noctem bog standard…..
decidedly** Why can’t I edit messages! Because I’m not good enough at programming to figure out how to put that option into the existing code for our theme. It seems to allow only me to edit comments, which is why all of my comments are perfect. Thanks for the excellent roud-ups! Thanks — and glad you’re into this music. An awesome roundup as always, Islander. Not a bad song to be found in this one with Carpe Noctem, Akvan, and Pure Wrath being specific highlights. Since you’re going to be otherwise preoccupied this weekend, I’d be happy to help out with another SOB post. There are a few releases that you didn’t cover in either part of this one that would definitely merit inclusion (like the new Sorcier des Glaces release or the recent Cult of Eibon/Caedes Cruenta split). Thanks man. And yes, if you’d like to fill in for S.O.B. next Sunday, please do. You’re welcome. I’ve already got three items written up, I’ll find a couple of more to round it out and hopefully will have something for you in a couple of days.